Ships tomorrow if you order in the next 16 hours 42 minutes. Orange you Glad there's Vitamin C? 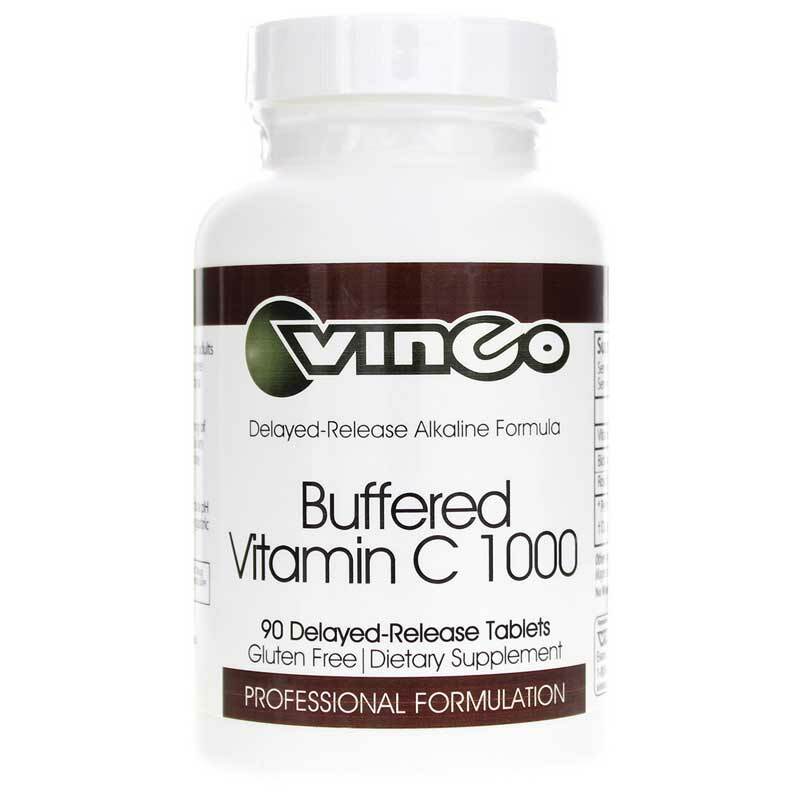 Oranges aren't the only way to get your vitamin C. Get 1,000 mg with Buffered C 1000 by Vincos. In buffered, sustained-release alkaline tablets, Buffered C 1000 gives you a powerful dose of vitamin C in a form that's less harsh on your stomach and better used by your body. Vitamin C is essential for more than fighting off the common cold. 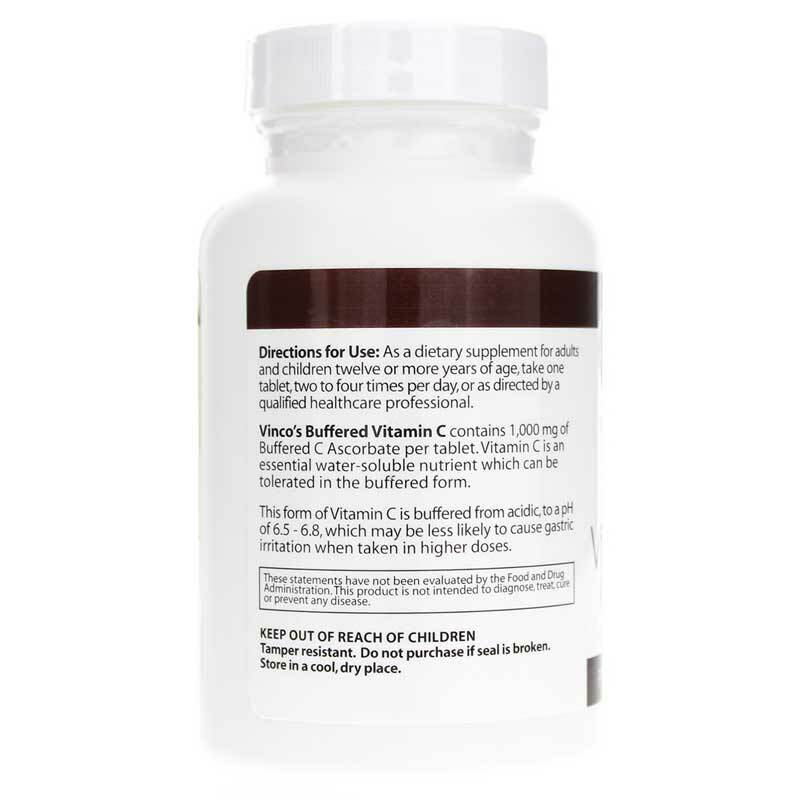 Buffered C 1000 boosts the benefits of vitamin C by adding calcium, bioflavonoids from grapefruits and lemons, and rosehips. Because vitamin C is water soluble, the body is unable to store it so you need to consume a regular supply from food or supplements. Its solubility also means overdosing is extremely unlikely so there's no need to worry about dangers of taking more than the daily recommended amount. When an orange isn't enough, reach for Buffered C 1000. Other Ingredients: stearic acid, silicon dioxide, magnesium stearate. Contains NO: wheat, gluten, corn, dairy, soy, yeast. 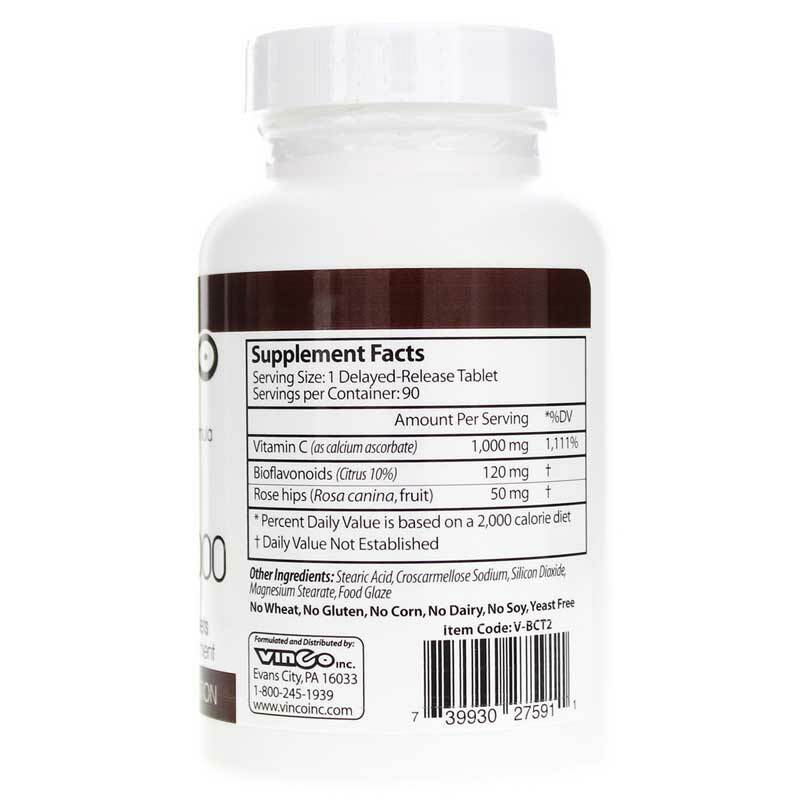 Adults and Children 12 or over: As a dietary supplement, take one tablet two to four times daily or as recommended by a healthcare professional.